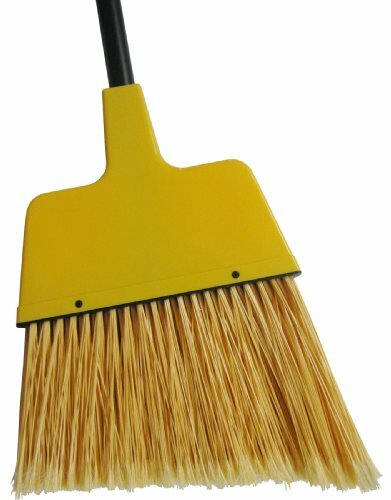 Both sizes feature an angled design for sweeping into corners and tight areas and are attached to a 48" long metal handle. The bristles are available with yellow polypropylene flagged or unflagged tips. Accepts threaded handles only. For use in commercial and food service. 6" bristle trim. Flagged PVC bristle. Metal handle. Handle size 7/8" diameter by 48" length. Black handle. Yellow bristle color.